Hikari Cichlid foods have been specifically formulated for the different nutritional requirements of herbivorous carnivorous and omnivorous cichlids. 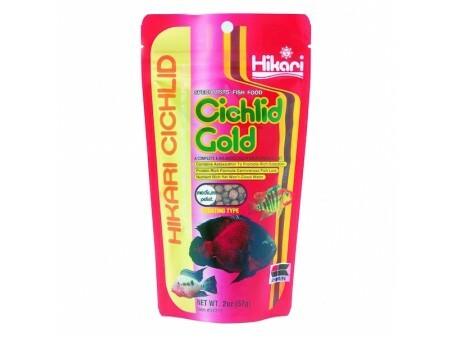 Hikari Cichlid Gold floating pellets are a complete and balanced diet for Carnivorous Cichlids and Larger Tropical Fish requiring higher protein levels. Rapid nutrient utilisation with minimal waste. Protein rich formulation promotes excellent growth.